* A calm vigilance helps prepare victory. * Make sure you’re in the right direction, and go slow and firm. * In the weakest point of a cycle, victory is secretly won. * Let us not deceive ourselves. It is by working in the right direction that we can learn how to learn. * The word “responsibility” means “response ability”; the ability to respond to life. * The Pythagorean tradition says: do that which is correct, and in due time it will become pleasant. * Inner silence is the fruit of understanding. It produces peace in the world without being noticed. * As the focus of consciousness adapts to different actions and events in daily life, the changing width of our mental horizons reflects the varying depth of our souls. * Suffering belongs to Maya, Illusion; and personal pleasure is part of Dukkha, the world of self-deceiving and pain. Bliss is real, and it is internal, and eternal. 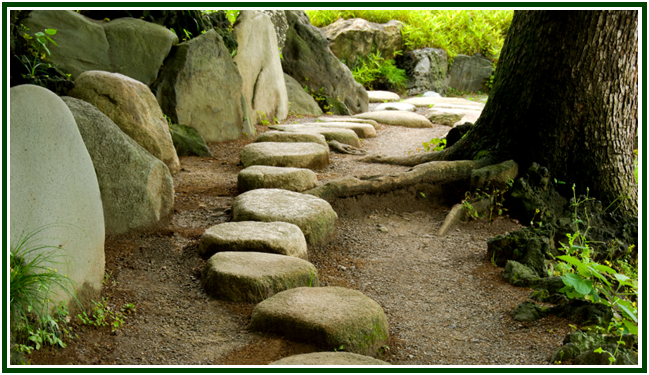 * The firmness of a rock and the flexibility of wind are both necessary along the path. In order to know when to use one or the other, one must have Discernment. * Self-control in thought is an unavoidable step. A lazy mind is worse than useless in the search for wisdom. * Sow that which is good and pay no undue attention to outer appearances. Sometimes the darkest hour is that immediately before dawning. * The art of sowing good karma is similar to the ancient agricultural science of planting. One has to sow in the right season, taking into consideration the yearly cycle and the circumstances of the soil. * Two things are necessary if the goal to be attained is noble: a complete detachment as to results, and a most intense, lasting effort. * The study of esoteric philosophy produces self-knowledge, when it is accompanied by practical actions. A constant observation and improvement of our various layers of motives and intentions is also necessary. * One’s feet must be firm on the ground, if one wants to look at the sky. Every transcendent view of life needs a stable foundation; and this must be a daily practice that is consistent with the ideal one looks for. * Wisdom and peace are seldom found as long as one consciously looks for them. They descend in their own timing upon the soul of the learner who has an affinity with them; and their arrival is usually as unsuspected as the morning dew. * An unlimited openness of mind is the circle. Self-discipline is the point, in its center. And there is an unavoidable symmetry between the point and the circumference. It is the firmness of the center that makes it possible to have a wide horizon. * “Festina lente”, says the famous Latin proverb: “Hurry up, slowly”. In order to avoid losing time, one must go slow enough, taking each new step in peace and with firmness. * To try and act with perseverance in the best possible way and from our own viewpoint: this is enough. * Truly sacred knowledge is like the air we breathe, or the water of the Oceans. It belongs to All. No one therefore can really buy or sell any part of it. * The whole universe is in peace, although it undergoes all kinds of transformations; each citizen can experience something of such a bliss. * If you use the will that you already have in order to pursue a noble goal, your will gets both strong and elevated. Use it in a sustained way - and it shall grow in effectiveness, too.